The Goddess Report explores the mystery and power of 12 asteroid goddesses in this approximately 45-page ground-breaking report, helping you to discover your true potential. You can read about the mythology of 12 Greco-Roman Asteroid Goddesses as well as the interpretations of each in the sign and house of your birth chart. Each goddess in your personal Goddess report has a specific function, being emblematic of an important sphere of your life. Every one embodies a different aspect of the Goddess herself. However, all twelve are involved in the handiwork of the Goddess. Therefore underlying each individual goddess is the sanctity of being, the awareness of the seasonal cycles of our life cycle and the acceptance of inner intelligence, signs, symbols and dreams. All twelve honor the instinctual wisdom of nature and follow her guidance. This report runs approximately 45 pages long and includes a color chartwheel. See a SAMPLE of the Goddess Report. You will need to supply your name, birth date (month, day, and year of birth – example August 15, 1968), birth time (example, 3:21 PM – do not adjust for time zones), and birth place (city, state/province, country). 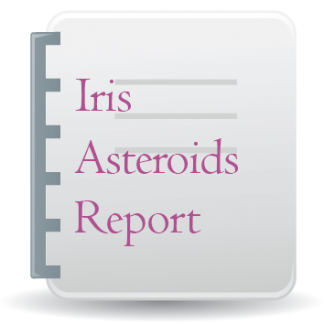 #GA $6.95 US Goddess Asteroids computerized report sent through email typically within 24 hours of receipt of payment AND full information required. The Goddess is the custodian of life’s mysteries and the primal world of archetypal forces. As representative of the world soul she engages us in the sacred rites of nature and reanimates life though the cycles of birth and death. Goddess culture flourished in the prehistoric period when magical consciousness prevailed, supernatural forces were deified and natural forces were revered. As consciousness developed through its phases the wisdom of the goddess was buried beneath the rational constructs of a scientific knowledge that erased the mysteries from life and excluded the magical processes. With the advent of the asteroids the wisdom of the goddess is once again available to consciousness. Goddess wisdom revels in the ancient wisdom of cycles, the intelligence of the inner life, the sanctity of divination, the mystery of healing and the necessity for sacrifice and ritual. The ancient feminine wisdom of the goddesses embraced all phases of life, celebrated its mysteries, ritualized its passages and knew the power of the natural world. The Solar Writer – Goddess report celebrates twelve goddesses and heroines and seeks their wisdom and guidance. The maxim ‘as above, so below’ underpins the philosophy of astrology. Inner and outer lives are woven together through investing the celestial sphere with meaning. Therefore when astronomical discoveries are made astrologers find new meaning and revelation in them. Astrological tradition suggests that with the major discovery of a planet the collective is confronted with the conscious awakening of an archetypal force that may have previously lain dormant or been repressed. As the 19th century dawned a discovery of a small planet would be made, heralding the reawakening of feminine power and the wisdom of the Goddess. Late in the 16th century Johannes Kepler first suggested that there might be a planet between the orbit of Mars and Jupiter. Nearly two centuries later the publication of Bodes Law reiterated this possibility. Based on the theory that all the planets were in a harmonic distance from the Sun the law suggested there should be a planet orbiting between Mars and Jupiter. When Uranus was discovered in 1781 its distance from the Sun conformed to the law giving greater weight to the theory of the missing planet. Finally on New Years Eve 1800 a Sicilian astronomer spotted a new body in the region and named it Ceres after the patron goddess of his homeland. To the Sicilians Ceres favored their island and it was here they claimed Hades abducted her daughter. One year later its orbit was confirmed and although small in comparison to the other planets the missing planet had become visible. But early in 1802 another body was sighted between Mars and Jupiter and named Pallas Athena. Astronomers wondered if a planet had exploded in this region and therefore more would be discovered. And they were. More than four hundred of these small planets had been named as the 19th Century drew to a close. It was not until the early 1970’s as the woman’s movement began to accelerate that astrologers began to take note of the significance of these new bodies, which were named asteroids. In 1973 an ephemeris of the first four discoveries was printed and the astrological community began to experiment with these new archetypes. The first four asteroids were named after the Olympian goddesses who had been previously unnamed in the astrological planetary pantheon: Ceres, Juno and Vesta were the three sisters of Jupiter while Pallas Athena was his daughter. All four were prominent in Greek myth and their cults predated their male counterparts. Previously in the astrological pantheon only the Moon and Venus were available to represent the lineage of the feminine traditions. Renewed images of the feminine had now appeared in the astrological tapestry. As astrologers began using these potent images of the asteroids the cults of the ancient goddesses were rediscovered, paralleling the cultural reclamation of feminine power. With the discovery of the asteroids and their use in astrology the ancient feminine wisdom of the goddess was brought to consciousness. Each goddess in your personal Solar Writer – Goddess report has a specific function, being emblematic of an important sphere of your life. Every one embodies a different aspect of the Goddess herself. However, all twelve are involved in the handiwork of the Goddess. Therefore underlying each individual goddess is the sanctity of being, the awareness of the seasonal cycles of our life cycle and the acceptance of inner intelligence, signs, symbols and dreams. All twelve honor the instinctual wisdom of nature and follow her guidance. These twelve goddesses preside over the three spheres of Heaven, the Earth and the Underworld. Being Olympians the goddess Ceres, Pallas Athena, Juno and Vesta are the goddesses of heaven who oversee the important initiations and transitions of the life cycle. These four goddesses were also the first named asteroids and the ones most frequently referred to in contemporary astrological literature. They personify four potent feminine functions or orientations to life. The goddesses of the underworld are powerfully insightful and understand the deep waters of the unconscious, the complexity of feelings, the power of mystery and magic and the uncertainty of life. These goddesses may reveal themselves through a healing crisis, the psychic senses, loss, betrayal or a myriad of other mysteries that arise in our lives. Hygieia, Cassandra, Hecate and Medea are the four goddesses who plunge the depths of the unconscious realm. Finally the goddesses who rule the Earth symbolize our worldly concerns and attitudes. Ariadne, Europa, Pandora and Mnemosyne are the influential representatives in the world who watch over our loves and labors, as well as our trials and triumphs. The Solar Writer – Goddess report is a celebration of twelve of the numerous asteroids. Below the asteroid goddesses and heroines have been listed by their order of discovery. Each asteroid has its unique cycle and position in the horoscope. Keywords are listed below to introduce you to the meaning of each goddess as well as other astrological correlations that have a similar essence to the asteroid archetype. Each goddess will be explored through her myth and cult to appreciate her ancient role and contemporary meaning. The oracular meaning of the asteroid goddesses and heroines is based on the individual cult of the goddess. Once familiar with the presence of each goddess or heroine we will petition them for an oracle based on their position by sign and house in your horoscope. Ceres, Asteroid No 1, was discovered in 1801. Ceres is closely aligned with the archetypes of Pluto and the Moon and especially strong when the Moon aspects Pluto. Her process may enter our lives when Pluto transits the Moon or the 4th house. Pallas Athena, Asteroid No. 2, was discovered in 1802. Athena is sympathetic to the air signs especially the justice and strategy of Libra and the intelligence and objectivity of Aquarius. She is aligned with the masculine archetypes of Mars and Uranus and close to Jupiter, her father’s realm. Juno, Asteroid No. 3, was discovered in 1804. Juno is the goddess of marriage and social customs. She reverberates with Libra and the 7th house. Her passionate side is reflected through the 8th principle of Scorpio and interchanges between these two astrological principles reflect the goddess. Vesta, Asteroid No. 4, was discovered in 1807. Vesta is the spirit of the 6th house, the domain of the sacred in the everyday, the rituals of work and well being. Planets in Virgo respond to the archetype as do inner planets aspecting Saturn, the need for authenticity. Hygieia, Asteroid No. 10, was discovered in 1849. The axis of health in the horoscope is the 6th-12th polarity. The Sun symbolizes the vitality and the ascendant suggests how we conduct that vital life force. Chiron is the archetype of healing. Hygieia is very much concerned with these principles. Ariadne, Asteroid No. 43, was discovered in 1857. Ariadne’s story plumbs the depths of the water houses. She leaves the familial terrain of the 4th house to be abandoned by her lover in the labyrinth of the 8th but awakens to her divine connection in the 12th. Neptune aspects to Venus or Mars may highlight these themes. Ariadne’s process is revealed with transits to planets in the 8th house or Pluto transiting Venus or Mars. Pandora, Asteroid No. 55, was discovered in 1858. Pandora is a change agent and therefore may be sudden and unexpected like Uranus. Her curious nature and marking of threshold change is Mercurial, linking Mercury and Uranus. As an agent of transformation she has a Plutonic essence as well. Planets in Gemini or Mercury aspects to Uranus or Pluto highlight the nature of Pandora. Mnemosyne, Asteroid No. 57, was discovered in 1860. The Moon records, reflects and reveals every heartbeat, breath and nuance of primitive life. Therefore the progressed Moon evokes memory as it progresses through the horoscope. Aspects between the Moon and Mercury as well as other planets aspecting these planetary archetypes reveal the process of feeling and rational memory. Hecate, Asteroid No. 100, was discovered in 1868. Aspects to Mercury may signal how we might manage crossroads, our facility for change and adaptability. Crossroads in the life cycle are mapped out by the cycle of the slower moving planets while personal crossroads are reflected in the transits of the transpersonal planets to the personal ones. Note the South Node of the Moon. Cassandra, Asteroid No. 114, was discovered in 1871. Cassandra revels in the world of Neptune – the archetype of the medial woman. Aspects between Mercury and Neptune, or Mercury in Pisces reflect Cassandra. Interconnections between Jupiter and Pluto may also ignite a similar pattern. Medea, Asteroid No. 212, was discovered in 1880. Medea is similar to the archetypes of Pluto and Scorpio, as she understands the process of metamorphosis. Planets in the Eighth House or in aspect to Pluto may conjure up the potent magic of Medea. Mythology serves as a psychological record of human development recording the imagination and symbols of the culture. Mythic stories speak to the inner life as they deal with universal themes and truths illustrating the archetypal forces that influence the course of the human drama. In archaic societies myths offered an explanation of the world and its creation, the cycle of birth, growth and death, how things came into existence as well as how they disappeared. In contemporary times we have scientific explanations for many of the ancient mysteries, but myth is just as valuable to help us to imagine our own origins and invest our lives with meaning. Mythic themes stir the imagination and broaden the horizon of the individual’s story placing it in a context of a larger story. Mythology is the link between the magical phase of being when consciousness participates in nature and the rational phase when we are separated from the natural world. The magical phase embraces the culture of the Great Goddess when life is full of mystery and wonder and we are one with the natural order, not separated or expelled from it. In this phase all nature is sacred as all life is invested with the divine. The asteroids are surrogates of the Great Goddess and reconnect us to her culture. As emissaries the asteroid goddesses and heroines invest life with the sacred, value imagination and mystery and inspire ritual and sacrifice in order to reconnect to the wellsprings of her magical forces. Following is a summary of their genealogy and mythic tradition. Let the myths resonate with your imagination and speak to you in their own way. The Roman goddess Ceres is also known as Olympian goddess, Demeter. She is the daughter of the Titan Cronus and Rhea and mother of Persephone. She is the Corn Goddess who personifies the agricultural cycle of fertility and harvest, as well as loss and renewal through her daughter Persephone. The Olympian goddess Pallas Athena was a daughter of Zeus, born from her father’s head after he had swallowed Metis. The Romans referred to her as Minerva. She is revered as representing the wisdom of reflection and strategy. The Roman goddess Juno is also known as the Olympian goddess, Hera. She is the daughter of the Titan Cronus and Rhea and mother to Ares, Hephaestus and Hebe. She is the goddess of Marriage and Social Customs who oversees the seasons of a woman’s life. The Roman goddess Vesta is also known as the Olympian Goddess Hestia. She is the daughter of the Titan Cronus and Rhea and is the goddess of the Hearth who embodies sacred space. Hygieia was the daughter of the Greek god of healing, Asclepius and the beloved goddess of Health. She is the sister of other minor healing deities and heroes including Panacea, Machaon and Podalirius. As the goddess of Health, Hygieia is the giver and preserver of well being whose function is to maintain a healthy relationship between body and soul. The Cretan goddess Ariadne was from the Minoan dynasty. She is the daughter of King Minos and Queen Pasiphaë, granddaughter of Helios and Zeus. She is sister of Phaedra and half-sister to the Minotaur. As the wife of Dionysus, Ariadne embodies the sacred marriage having endured the trials of betrayal and abandonment. Europa was a Phoenician princess, sister to Cadmus and matriarch of the Minoan dynasty, mother to King Minos and grandmother of Ariadne and Phaedra. She represents the creative and earthy process that supports and guides worldly success. Pandora was the first woman, shaped by Hephaestus, to be the harbinger of a new age. She was married to Epimetheus and was the mother of Pyrrha. As a representative of the ancient ways of the goddess, Pandora brings the gift of hope. Mnemosyne was a Titaness, a daughter of Gaia and Uranus, known as the goddess who personified the faculty of memory. As the mother to the Nine Muses she represents enchantment, inspiration and the power of remembering. The goddess Hecate was the daughter of Perses and Asteria, the granddaughter of Phoebe, and a powerful goddess revered by all the gods. Later she became an attendant to Persephone. As an underworld goddess she was represented in her three-fold nature and was worshipped at the crossroads and as the guardian of transitions. Cassandra was the daughter of Priam and Hecuba, the regents of the powerful dynasty of Troy. She was the twin sister to Helenus and sister to seventeen other siblings including Paris and Hector. From an early age she had oracular ability, yet no one believed her. Cassandra carries the feminine mysteries of divination even in a contemporary world that devalues the sacred tradition. Medea was the Princess of Colchis, granddaughter of the Sun god, Helios and niece of the sorceress, Circe. Medea is the great witch of the Greek myths, knowledgeable in herbs, healing and the art of metamorphosis. Ceres is the Roman agricultural goddess whose gift of grain, ‘cereal’, was distributed to mankind as thanksgiving for the release of her beloved daughter from the underworld and also as an eternal symbol of the continuity of life. Ceres is the goddess of agriculture who instinctually knows the cycle of loss, death and rebirth through her attachment to her beloved daughter. The Roman goddess was modeled on her Greek counterpart Demeter whose central myth focused on the loss of her daughter, Persephone. It was this myth, which inspired the greatest initiation rites in the ancient world – the Eleusinian Mysteries. These mysteries re-enacted the terrifying journey of Persephone into the underworld and through these rituals both male and female participants faced their terror of death and became thankful for the gift of life. Ceres, corn goddess, patron of farm life and vegetation is both an agricultural and underworld deity. She is an earth mother who presides over the cycle of fertility, birth, harvest, decay, death and rebirth. From the archaic period the goddess protected and insured the fertility and propagation of the crops and livestock. Her sanctuaries were placed near arable land, outside cities, where pilgrims would come to petition the goddess for a fertile crop and feast on the abundant gifts of food that the goddess provided. Her myth was more ancient than her male contemporaries and reached back to the epoch when deities of the underworld (death) and the earth (life) were one. Ceres represents both loss and harvest and her classical story embraces each aspect in the myth of her daughter who becomes the Queen of the Underworld. The myth of Ceres/Demeter and her daughter is a heartbreaking narrative of closeness, separation, grief and reunion, the motivation behind the establishment of the Eleusinian Mysteries. The brutal breaking of their attachment is the impetus that allows each woman to develop independently of one another into sovereignty over their own sphere. Since antiquity this poignant portrait of the mother-daughter bond has probably been the most cherished of all the Greek myths. The classical myth is also remarkable as it places the feminine characters at the heart of the narrative with the male gods on the periphery honoring a sacred and profound feminine story. The Ceres myth was first told in a hymn to the great goddess Demeter. Kore, the innocent maiden Persephone, was playing in a meadow gathering flowers when the earth rumbled beneath her and broke open. Suddenly from the chasm in the earth a chariot drawn by four black horses appeared. In the chariot was Hades, the Lord of the Underworld, who seized her. As she struggled to break free the chariot carrying them disappeared into the black hole. Demeter wandered aimlessly in search of her daughter. No mortal or god could help her with information about her daughter’s disappearance. Finally after nine days she met Hecate, the goddess of the crossroads. Hecate heard Persephone screams, the only clue to the abduction. Demeter raged and withdrew the gift of fertility from the earth causing a great famine. She also withdrew herself from the company of the gods and in disguise wandered amongst mortals unnoticed. Grief-stricken, depleted and withered, Demeter wandered to Eleusis where she met the daughters of the local king who pitied her and brought her home. Their mother gave Demeter the task of caring for her infant son. Demeter nursed him on ambrosia and nectar and every night she would baptize the infant in fire in order to render him immortal and safeguard him from the fate of the eternal cycle of life, death and rebirth. However, one evening the Queen interrupted Demeter in the middle of her ritual and screamed in fear for the boy’s safety. At that moment the cycle of mourning was broken. Demeter cast off her old age, changing her size and appearance to reveal herself as the great goddess and commanded the king to build her a great temple and introduce her worship to the people of Eleusis. However, Demeter was still furious at the abduction of her daughter and withheld the new crop’s seed so the earth continued to be barren. Zeus intervened and demanded Demeter return to Olympus and fulfill her duties. Demeter refused. Finally Zeus in his anguish agreed to release Persephone from the underworld so the crops would grow again. Persephone was eager to be reunited with her mother. But before she left the underworld Hades gave her a pomegranate seed to ingest. Innocently Persephone took the seed and swallowed it now binding her eternally to this place. Having eaten in the underworld meant Persephone now belonged there. Demeter and Persephone’s reunion was ecstatic and both rejoiced at the sight of one another even though they knew they would not be together as in the past. As the mother, Ceres indicates the necessity to nurture a creative project even though that means letting it go. By relinquishing an attachment a phase of the cycle ends and prepares us for a new beginning. Astrologically the goddess Ceres represents the feminine wisdom that acknowledges loss. Loss is intricately woven into the tapestry of life; attachment, separation and loss are part of life’s greatest mystery. Feminine wisdom knows that grief is only one phase of the great wheel and mourning allows the process to be complete so that life may be renewed. Following is a portrayal of the goddess Ceres in your natal horoscope. You have a deep connection with the world as a whole. As such you are likely to be passionate about travel, study and philosophy. However, you are not interested in high-minded ideals. Rather you seek an earthiness. These areas of your life provide real sustenance. As such you are likely to study subjects that are both practical and global such as international relations, environmental science, archaeology, geography, and world poverty. You are likely to want to travel to foreign lands preferring to visit people and natural environments rather than the big cities. Trekking in the Himalayas or visiting a Buddhist community in Bhutan is likely to hold more appeal than staying in a luxury hotel in the middle of Hong Kong. You may also have a strong need to visit and help the world’s poor. Your interest in philosophy feeds your soul. Discussions of religion or international politics can really feed your passionate beliefs. Music and other artistic forms from different parts of the world may soothe you in stressful times. You may also form close bonds with people from different backgrounds, perhaps those who live in far-off lands. Or you may have ancestral roots that are deeply buried in foreign soil. You may meet and marry someone from a different cultural background or form strong business connections overseas. On the other hand you may become involved in publishing your own or other people’s works. If this is the case then you need to make sure that you give creative publishing works and those involved plenty of freedom of expression. If you become too attached to any creative project then you are in danger of becoming excessively scheming. You could become your own worse enemy. On the other hand if you can give yourself and everyone involved the freedom to play his or her part then your publishing is likely to be successful. Your challenge is to nurture your own need for knowledge and the dissemination of that knowledge while respecting other people’s beliefs and intellectual property. The more that you are able to let go of your grand schemes the more that you are able to attract erudite associates and stimulating creative projects. Although you are well aware that life has its serious moments, you prefer to concentrate on the lighter ones. Therefore you are good company. Friends and relatives enjoy your cheery nature. Of course you are not always bright and cheerful, but you do like to take care of yourself by focusing on life’s pleasures. Beauty, fashion, the arts, and any fun activity all play a part in helping you remain upbeat. You are also keen to share these activities with those close to you. Depending on other aspects of your birth chart you are likely to enjoy a pleasurable relationship with your mother, or a key mother figure. As a child it is likely that your mother encourages the playful side of your nature, perhaps even indulging your whims. You learn how to have fun and enjoy the world of make-believe, playing happily on your own or with other children. You share many traits with author J.M. Barrie’s characters Peter Pan and Tinkerbell. As you grow older you are likely to retain many of these traits. In fact one of the few drawbacks of the placement of the goddess Ceres in the sign of Leo can be that you find it difficult to grow up, leave the family nest and make adult decisions. You need to ‘grasp the nettle’ and face life with maturity. Commitment can be rewarding. In fact you are likely to be surprised by the treasures that result from facing all the seasons and changes in your life. You need to hear the echo of your own voice, the applause from your performance or the acknowledgment of a job well done. You are a creative soul and need to be interactive in an expressive way. Ceres supports all your efforts in expressing your self and encourages you to feel comfortable with your creativity. With the sack of cities, with the battle-cry and with the combats. It is She also who saves the fighters that go to war and come back alive. The architectural masterpiece, the Parthenon, was dedicated to the goddess whom the classical Athenians cherished. Pallas Athena was their advocate for law and order, the teacher of household arts like spinning, weaving, and cooking, as well as their protector and defender. As their goddess of war she helped the Greeks defeat Troy, the Athenians repel the Persians; as their goddess of useful and decorative arts she inspired them to build exceptional monuments and temples. The goddess of merciful justice transformed the law courts and at the dawn of the fifth century she inspired the democratic shift in Athenian politics. Athena was the revered goddess of the Athenians who celebrated her birthday each year with a great festival and procession through the Agora up to the Acropolis. As a multi-tasked goddess many images are associated with Pallas Athena but it is the owl that reminds us of her wisdom. Her intelligence is ‘bright-eyed’ and sharp, focused on the immediate, located in the present, aligned with the head and not the instinct. Pallas Athena embodies the rational and encourages left-brain thinking. Her wisdom controls the instincts, learning to direct them into heroic pursuits to eradicate what is dark and primitive. She is civilizing and organizing, bringing culture and cultivation to mankind. Justice and law are part of her new order replacing retaliation and revenge. Strategic, reflective and controlled her craft and skill is mirrored in the multiplicity of devices she offered man, the fertility of her ideas and the usefulness of her inventions and techniques. As Pronoai she is ‘before knowing’ embracing forethought and strategic thinking. As a warrior queen she was born from the forehead of her father Zeus, fully armored and mature, suggesting that the wisdom of goddess had been reborn into a new order. As father’s special daughter Pallas Athena mirrored the rational intelligence and counsel of Zeus. Metis, the mother of Athena, was an ancient goddess of wisdom known as Wise Counsel or Cunning Intelligence. She knew the feminine mysteries, the intelligence articulated by the heart and the inner world of instinct and intuition. From her Pallas Athena inherited another kind of wisdom: the wisdom of intuitive knowing often experienced in the belly as a ‘gut instinct’. It is a knowing that may speak through symptoms or disease, through creativity or craft, or radiate through stillness and tranquility or even erupt in anger or hostility. It is a wisdom born out of an intimate connection between mind and matter, a fluid way of being that the ancient Greeks knew as Sophia. Athena is a proud daughter born from a power struggle between her powerfully dominant father and her intuitively wise mother. Consciously Athena only knows her father’s way and the new order. Born of man, like Eve, this myth is often cited when tracing the emergence of ‘father-right’ from the long held tradition of ‘mother-right’. The daughter is now aligned with the sky father who colludes in rejecting the earth mother. The tables have turned in the familial pattern and now it is father and daughter colluding against mother, no longer mother conspiring with her youngest son against the father. When Athena emerges she reflects the need for logic and rationality rather than feeling and instinct. Her path follows the reason of the head, aligned with her father, not the impulse of the heart, the vulnerable feminine side that she has not been nurtured by. Like Eve, Athena’s feminine legacy is not so easily erased. Both their myths contain the image of the snake, a sacred symbol of their legacy of feminine wisdom, healing and regeneration. By the classical period Athena’s wisdom became subjugated to Zeus. Shaped by the masculine wisdom becomes linear, logical and rational. Metis is no longer acknowledged as her other parent. The internal wisdom of cycles, intuitive knowing and the complexity of intrapsychic understanding becomes concealed under Athena’s armor. Athena is also associated with the arts of healing, health and regeneration. As Athena Nike she was the goddess of Victory, first victorious in war and later a victor on the sports field. Athena signaled victory and as a patron of heroes she was also known as the goddess of the near, as she was always close to the hero and a staunch supporter of the heroic. As the goddess of war and defender of her father’s realm Athena became aligned with the hero as his guide and protector. In mythic portrayals of the hero, Athena stands behind or beside him as his staunch ally against the monstrous and dark forces. When Pallas Athena appears prominently in a birth chart she encourages us to be heroic and battle the regressive forces of our instinctual nature. It is necessary to reflect on the situation and not react emotionally, detaching enough to formulate a decisive plan of action. In astrology the goddess Pallas Athena represents the reflection and meditation that develops out of the turmoil of chaos and uncertainty, helping us to become more strategic and deliberate in our actions. Metis is the valued intelligence that guides our instincts and plans strategically and arises into consciousness at exactly the right moment. Pallas Athena discerns and through reflecting on emotionally entangled situations allows consciousness to develop. Following are the house and sign descriptions of the goddess Pallas Athena in your horoscope. You are skilled at managing other people’s resources – their finances, property investments and their personal matters. You are insightful, perceiving the best methods for other people to move forward in their lives. You are a born manager, able to listen, learn and make decisions. For this reason you could enjoy accounting, stock market investment, property management, publishing and sales. These skills also mean that you are skilled at running a business enterprise, either your own or someone else’s. You can manage all facets of a business as well as foretell business trends and advise on methods of implementing change. You might be surprised by how quickly you achieve promotion within some enterprises. You have a strong set of business ethics to which you adhere and expect others to respect your rights. If anyone should fail to respect your code of ethics then you are likely to become warrior like in seeking justice. While you have excellent management skills you also have high expectations. Can others always meet these expectations? You need to ensure that you choose your battles wisely. You find it difficult to let go and trust a natural course of justice. Your battle skills are considerable. You are able to rally resources and allies and beat the opposition; however, you need to make sure that you are acting with integrity. Are you really seeking justice or are you being self-righteous? Are you seeing things from all perspectives? Have people simply become numbers? The answers to these questions will help you choose your battles wisely. Make sure that you are protecting your own rights, or other people’s rights, not seeking revenge. The goddess Pallas always preferred mediation rather than confrontation. Conversely if you have walked away from a battle do not have any regrets. Justice does not need to be personally sought in order to apply. Integrity is more important; otherwise you may win the battle but lose the war. In other words a court of law may find in your favor but you then have to deal with the consequences. Your insights are valuable in business, but you are also wise in understanding human nature. Your friends, colleagues and loved ones may rely on your advice in deeply personal matters. For this reason you may enjoy counseling, social work, psychiatry or psychology as a profession. You may also be a gifted teacher, able to help others learn valuable lessons about life, not just one particular subject. On the other hand you may simply delight in learning about metaphysical matters for your own personal edification. Books about the meaning of life and death may fascinate you, as do other people’s psychic experiences. The goddess Pallas discerns and through reflecting on emotionally entangled situations allows consciousness to develop. This is one of your greatest gifts, the ability to shed light on entangled situations and help others rise above them. You are passionate and warm-hearted, although others may not see this side of your nature. You are likely to hide your feelings behind an intellectual or professional façade. This is likely to be because you are more comfortable with reason than with emotion. You have many interests; most likely involving revered colleagues rather than close personal friends. You like to share your interests, or become involved in activities that involve group work or committees. You enjoy pursuing your goals with like-minded people, who may see more of you than your own family. You love your family, but depending on other aspects of your birth chart, you are not comfortable in the intimate confines of home and hearth. You need freedom in your close encounters and therefore may rather form bonds with those at work. Perhaps you work with families, but it is more likely that your associates become members of your inner circle. You have strong opinions about the role of families in society, and perhaps feel a strong bond with your own family; however, you are unsure about how to put across this sentiment. The goddess Pallas is focused on the intellect rather than the emotions. As a result you may have difficulty expressing your feelings to those closest to your heart. You enjoy intellectual rapport with like-minded friends, but you have difficulty communicating with your loved ones. Nevertheless you are very protective of anyone who is close to your heart, or any vulnerable person or animal in pain. Your kind-heart combines with a fiery will to protect those who suffer. Children, elderly, animals and the infirm all touch your heart. You have a fertile imagination, but this may be the limit of your fertility. You may be keener to direct your creative efforts into intellectual pursuits rather than bearing children. Perhaps you enjoy the freedom of pursuing your own interests, or perhaps your family of origin provides enough sustenance and there is no need to branch out. You may be more interested in the past rather than in the future. History is likely to appeal, genealogy or modern, classical or ancient history. Anthropology and archaeology are also likely to be an avenue of interest. Juno Regina shares the honor of the highest deity in the Roman pantheon as queen next to her husband-brother Jupiter, king of the gods. Each woman had their own guardian spirit named Juno, who guided their transitions into the stages of motherhood and marriage. As a light bringer she was also invoked for protection during childbirth. As the goddess of marriage her Roman name Juno was the derivative of June, the season of the bride. Women celebrated her annually in the festival of Matronalia. By the Roman period Juno had become emblematic of the woman as wife and citizen presiding over social customs and duties. In earlier Greek myths Juno was a powerful goddess in her own right known as Hera, the adored feminine deity of many powerful city-states. The derivation of Hera’s name may be related to Hora or season, as she is custodian of the seasons of a woman’s life. On the Olympian pantheon she was the goddess of marriage and embodied social ritual and custom. At her cult in Argos young girls ran races to prepare for their marriage and the rituals of womanhood. In the Greek myths Hera was a wife and unlike her husband Hera does not have affairs. However, in Greek myth Hera also seeks revenge upon her husbands’ liaisons with others. By the classical period the tales of Zeus and Hera rival contemporary soap operas where the cycle of betrayal, outrage and revenge is the central plot. Hera consistently plots revenge against Zeus’ lovers and children from these affairs. However, there was an earlier time when the Olympian couple was not always locked in power struggles or scheming and bullying each other. This was when they first fell in love in the palace of their aunt and uncle where they were being hidden, protected by their mother Rhea from the familial wars that were raging with their father. Here in the great palace beneath the sea, they consummated their relationship, a relationship that was to remain secret for nearly 300 years. Underpinning the later myths are fragments, which reveal Hera was an ancient goddess before she became aligned with her brother in a sacred marriage. Epithets of Hera such as ‘cow-eyed’ refer to her earlier association with the earth and agriculture, while her epithet ‘of the white arms’ may link her to an association with the Moon. She is often depicted in three phases as the maiden, the fulfilled and the solitary, a trinity of aspects represented by Hebe, Hera and Hecate. Hebe was the daughter of Hera and the cupbearer to the Gods who became married to Heracles after his ascension to Olympus. In this aspect Hera is the maiden, the youth and the aspect of the feminine that retains her virginity, even in relationship. The central phase was motherhood, wifehood and a woman of power. Local folklore suggested she bathed in the streams of Argos where she was able to regain her virginity lost in the marriage with Zeus. Hecate was associated with the final phase embracing Hera’s aloneness and need for solace. At times Hera would leave Zeus to go off on her own to pursue her needs for privacy, renewal and worship. Hera was indigenous to Greece long before Zeus was triumphant. The cult of Hera may have been so powerful that unlike the other goddesses Zeus was unable to be dominant, settling instead for an equal relationship. Her cults on Samos and in Argos are linked to the prehistorical period. On Samos one of the first mammoth stone temples of the archaic period was built in honor of Hera. Similarly her temple at Olympus predates the magnificent one built for Zeus. No doubt Hera is an older goddess like Demeter and Hestia, her sisters who were born to Cronus and Rhea before their brothers. However, to incorporate Hera into the politics on Olympus she became the wife of Zeus and mother to his children. Another mythic fragment, which suggests Hera is a powerful ancient goddess, is her link to Heracles. Even though their relationship is estranged Heracles is named for the great goddess. His name literally translates into the glory of Hera. Hera whose name closely resembles hero is aligned with the greatest of all heroes, Heracles and plays a potent role in many heroic sagas. Their antagonistic relationship ironically spurred him on to become the greatest hero and ironically myth depicts Hera as his mother-in-law. No longer the object of her scorn Hera has challenged Heracles to become the hero. As mother-in-law she models a strong and uncompromising woman who demands the hero be the best man for her daughter. Juno and Hera are the composite that portray the seasons of a woman’s life as well as the evolution of woman’s roles. The spirit of Juno in contemporary woman has new power and possibilities and the placement of the goddess in our horoscope is an invitation to challenge the constructs of the social roles that are inhibiting for us. As a partner and equal Juno is supportive, enterprising, challenging and confronting helping shape potentiality into reality. You are searching for a deep and meaningful union, an intimate bond with another person. This is part of your heroic journey. You seek a soul mate, someone who can help you feel like a whole person. However, you need to be careful. No other person can fulfill such a tall order. You are searching for someone who totally satisfies your needs, rather than seeking an equal partnership of give and take. As a result your marriage is likely to be unbalanced. Perhaps you have chosen a fair and decent person but have failed to acknowledge the way in which you can support your partner, thinking only of your own needs. You may be forced through circumstances such as your spouse’s ill health, unemployment or profession to accept the role of caretaker. On the other hand your need to feel the devotion of another person may cloud your vision. You are susceptible to falling in love with love or becoming romantically involved with the notion of marriage rather than the individual! As your marriage progresses you may notice your beloved change personality and you don’t know why. It is likely to take some time for you to understand this process of transformation. The karmic links between you and your spouse are intricate. Contemplation, perhaps even psychological counseling, may be required to help you understand the deep subconscious patterns that have formed in your marriage. On a more positive note once you have accepted that you are a whole person in your own right, you do have the ability to form a more positive karmic relationship with someone who shares your outlook on life. You may enjoy a reclusive lifestyle, just the two of you, perhaps you share a love of meditation and prayer, or an interest in one of the more esoteric arts. The lesson of the goddess Juno challenges you to keep seeking your own truth which consequently can be shared with your spouse but not gained by melding with another. Love and marriage are central forces in your life. Your choice of a marriage partner is likely to influence the direction of your life and your emotional well being, more so than other people. You may fall in love with someone from a foreign land, get married and travel to your spouse’s homeland thus transforming your life. On the other hand you may, when young, choose an unlikely partner who betrays you in some way. The emotional rage that erupts is surprising to say the least so it is necessary to be wise in how you express this rage. The goddess Juno is asking you to find your sense of self-worth and power within yourself rather than seeking personal power through marriage. If you do not learn this lesson at a young age then your partner’s life choices are likely to have a dramatic influence on your own life. You are vulnerable when it comes to marital relationships as you have the capacity to merge on the deepest of levels. Your emotions, your psychological and sexual well being, along with your finances are at risk in marrying the wrong person. The goddess Juno is asking you to be discriminating and choose potential partners carefully and wisely. Be careful not to let your passions rule your decisions when it comes to relationships, particularly when you are young. You are likely to fall deeply in love, enjoy a passionate union and leave the rest to fate. If you are really lucky then your lover will be a wise and wonderful mate, someone who returns your love in full. Then your marriage can be rich and sacred. On the other hand you may discover hidden forces start to manifest as daily dramas. Jealousy, possessiveness, battles over money, extra-marital affairs and other vices may be the result of your inability to discern between lust and love. These could stem either from your own feelings of inadequacy or from your partner’s. Either way your marriage could become a battleground if you do not honor your own or your spouse’s emotional and psychological needs. In other words you need to develop a sound psychological understanding of your marriage and then take action to either heal the wounds or end the battle. The goddess Juno is strong in the sign of Scorpio so the good news is that you do have the ability to learn the lessons of love and form a strong and lasting bond. Once you have learnt to listen to reason as much as passion when choosing a life partner, then you are likely to form a sacred union. Loyalty, intimacy and commitment are within your grasp. The Queen of the ancient Heavens can grant you the ability to transform your life through your marriage in a way that brings true emotional and financial rewards. The cult of the Roman goddess Vesta was connected to the Greek Hestia. However, the Roman archetype had considerably altered from her Hellenic counterpart. By the Roman period the sacrament of virginity was liberalized, no longer conceptualized as a psychic state but now institutionalized as a spiritual way of being. Priestesses of Vesta, known as Vestal Virgins, served the goddess for a period of thirty years. While the position was privileged it also was one of great piety, devotion and responsibility. Vestal Virgins tended the sacred flame and guarded the Palladium, the secret objects brought from Troy to preserve the memory of the ancient city and protect the new satellite city of Rome. However, in ancient Greece Hestia was the embodiment of an internal and sacred space not a religious institution. Vesta’s heritage reaches back to the traditions of honoring the authenticity of the inner life as symbolized by the spirit of the sacred flame, not a system of regulations. In ancient Greece the goddess received the highest respect. Acknowledged as the deity mankind must first honor when feasting and drinking the goddess embodied grace and virtue. Veiled and virginal her sanctuaries were places of refuge, asylum and political peace. Constant, focused and disliking change Vesta is the hearth, a symbol for both the center and the focus of the home as well as the metaphor for family life and the family circle. As custodian of the hearth she is central to psychic life representing the sacral center, the goddess who honors sacred space and protects holy images. She embodies spatiality, conferring safe places to congregate, mediating soul by giving it a hallowed place to be acknowledged. As a virgin (unto herself) goddess Vesta is the custodian of soulful space personifying the stillness at the center of our busy everyday lives. As goddess of hospitality she also welcomes travelers across the threshold offering sanctuary and hospice. Vesta is the continuity of family life and the coherence it brings to our everyday experiences. Vesta was the first-born child, the first devoured by Saturn and the last one to be disgorged from his belly. Therefore she represents the beginning and the end, the alpha and the omega, the eternal cycle. Vesta is not a part of the outer rim of the cycle but situated at its center, personifying stillness, discretion, centering and immobility, aspects of her Greek counterpart, Hestia. Few Greek myths remain of Hestia; she is rarely personified, no statues or temples remain, yet at times in the archaic period she was the most honored goddess, worshipped at the center of the city and the center of the Greek household. By the classical period Hestia was not included as one of the twelve Olympians having been replaced by Dionysus. Hestia and her brother Hades are the only two siblings who remain detached from the Olympian family dramas and feuds. Unlike their brothers, Poseidon and Zeus, or their sisters, Hera and Demeter, they are not identified with their family of origin or their siblings. Their places are internal, interior and introverted. Few images or alters survive as reminders of their worship or importance in cult. There were virtually no temples erected to them and they were seldom represented in art, sculpture or vase painting. Neither were they parents to heroes like their siblings. As gods of place both Hestia and Hades have been re-placed and dis-placed which are potent clues as to what we culturally and psychologically have done with these archetypal energies. In a modern context this place of Hestia, as a metaphor for the hearth of inner life, has become dis-placed, re-placed by the rush and busyness of the outer world. When the inner life is sidelined and banished to the fringes of society, anxiety, terror and panic can no longer be constrained in the community. Hestia reflects the need for solace, quiet and retreat into the inner sanctuary of the Self. As an image of center, Hestia is not personified or remembered by statues or temples but manifests through the sense of peace. She is the central point; the meeting place the fires of the home, the hearth, the Omphalos as the symbol for the center of the Earth. In antiquity her sanctuaries were non-warring zones, places of political peace. Plato remarked, ‘when the Gods warred, only Hestia did not take part’ that characterized the goddess’ propensity to non-involvement. In the earlier myths of Hestia she resisted the advances of both her brother Poseidon and her nephew Apollo and was honored with remaining eternally virginal, symbolic of her attachment to the inner life. She is the aspect of self, which can never be violated or abused and always able to access the soul. Hestia is central to psychic life and expressions like ‘can’t settle down’, ‘off center’, being off base’ remind us of being out of touch with Hestia. As the hearth she is a guide to the inner life and the central image around which soulful images can constellate. She represents sacred space, the meditative moment the soul of place and the feeling of home. In astrology Vesta is the inner instinct that honors soul by giving it a sacred place, an altar, a quiet moment. She represents hospice and offers hospitality to the aspects of self that feel displaced and dislocated. As the hearth light she offers stillness, quietude, meditation and solitude in the midst of the everyday. The inner life is the container for anxiety and despair as well as a refuge from the pollution of daily life. Below are descriptions of where Vesta is to be found in your horoscope, the spheres where she seeks to be honored in your life. Dedication to serving other people may come in different forms – working in the service or care industry, being of service to friends and family, administering to the homeless or poor or becoming a servant of the goddess. You feel compelled to find a way in which you can be of service to others through your work or by example in the way that you live your life. You are well aware of the importance of the little things in life. Therefore you seek to express yourself through your daily routine. Your little conventions may amuse others, but you know how important rituals can be for helping to give structure and meaning to people’s life, your own included. Mother Theresa would be one of the finest examples of service to humanity, but you also appreciate the way in which each person can be of service to each other. You may have the ability to heal others, either by working in the medical field or through alternative therapies. Traditional medicine, herbal medicine, energy healing or even medical astrology could provide an outlet for your need to be of service. Many people are goal-oriented, striving to perfect and improve aspects of their lives through great achievements. You prefer to pay attention to the process, how people are living their lives rather than what they are achieving. You are well aware of the sacrifices that often involved in the work and home environment. Your expectations are different to most other people because you are prepared to make forgo pleasures in order to adhere to a routine or to look after the needs of other people. Little acts of kindness, rather than personal comfort, are more likely to be your personal goal. However, one of the most important acts you need is the daily act of devotion, whether that be quietly meditating, focusing on those you love or centering the self. It is important you find the time for spirit in the midst of your everyday life. You have a strong sense of duty and loyalty to your family. You also have strong opinions about members of the family who fail to live up to your high standards. Both of these traits apply not just to your own personal and extended family, but also to society in general. You are a reliable and trustworthy member of your family and society and cannot abide those who fail to carry out their duties. You are passionate about people’s need to treasure each other and the planet Earth. This is a spiritual motivating force in your life. You treasure nature, feeling refreshed at a deep level whenever you spend time close to the earth, surrounded by the sights, sounds and smells of the natural world. You may be an ardent advocate for environmental causes, inspiring others with your enthusiasm for simplifying life. While you appreciate the finer things in life, you are also able to throw off the shackles of materialism to pursue more satisfying goals such as creating warm and loving relationships, nurturing and protecting nature and studying spiritual values.